The 1980s was a period of economic volatility. 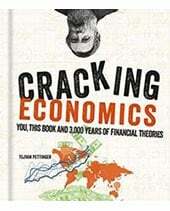 There was a deep recession in 1981 as the government tried to control inflation. The recession particularly hit manufacturing causing unemployment to rise to over 3 million. Unemployment did not fall until the mid and late 1980s when the economy boomed during the “Yuppie-years” of rising wages, rising house prices and a stock market boom. However, this “Lawson Boom” proved to be short-lived with inflation returning and eventually causing the recession of 1991/92. The 1980s were also a period of ideological change and a break with the ‘post-war consensus’. 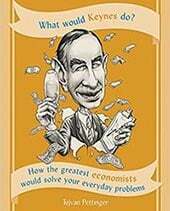 The Conservative party pursued a form of monetarism and were influenced by free-market economists like Milton Friedman. There was a host of supply-side reforms including privatisation, reducing the power of trade unions, deregulation and lower income tax rates. 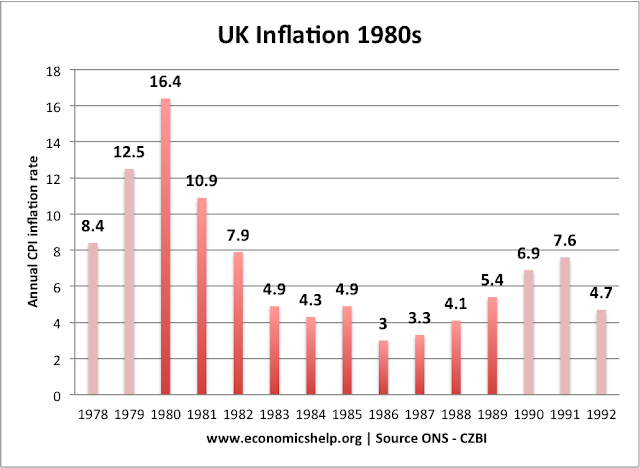 Supporters of this “Thatcherite Revolution” argue the 1980s enabled the UK to tackle long-standing problems such as inflation, poor industrial relations and a relative economic decline. 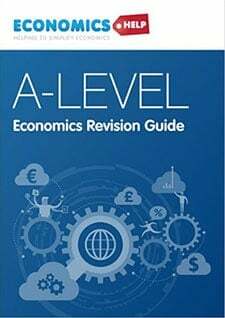 However, critics argue the recession of 1981 was unnecessarily severe, and the supply side reforms increased inequality – without any noticeable improvement in the long-run trend rate of economic growth. Pursued monetarist policies of trying to control the money supply and meet money supply targets. 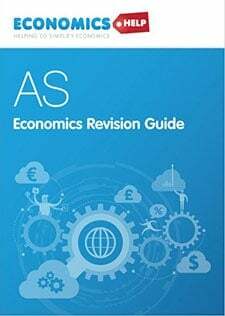 However, this tightening of fiscal and monetary policy (combined with a high value of Pound Sterling) led to a significant fall in aggregate demand and the economy entered a recession. 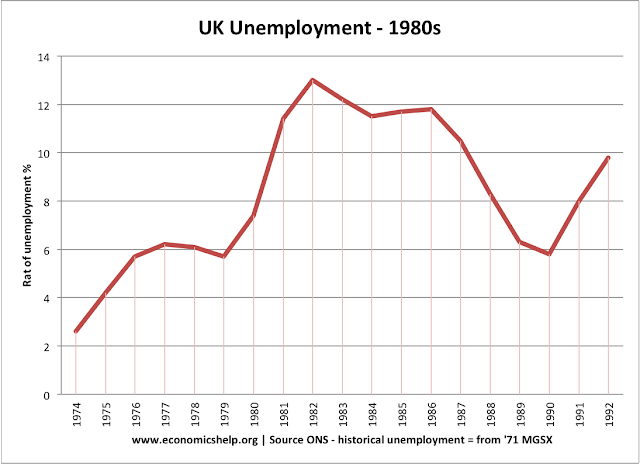 Due to the severe recession, unemployment rose to 3 million and the high unemployment persisted throughout the 1980s. Unemployment was particularly concentrated in the former manufacturing heartlands of the north, Wales and Scotland. It was the highest levels of unemployment since the Great Depression and precipitated riots in many inner cities during the summer months of 1981. 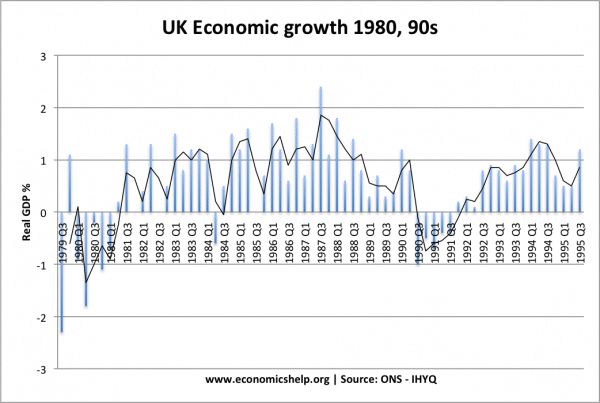 After recovering from 1981 recession, the UK experienced a long period of economic expansion. 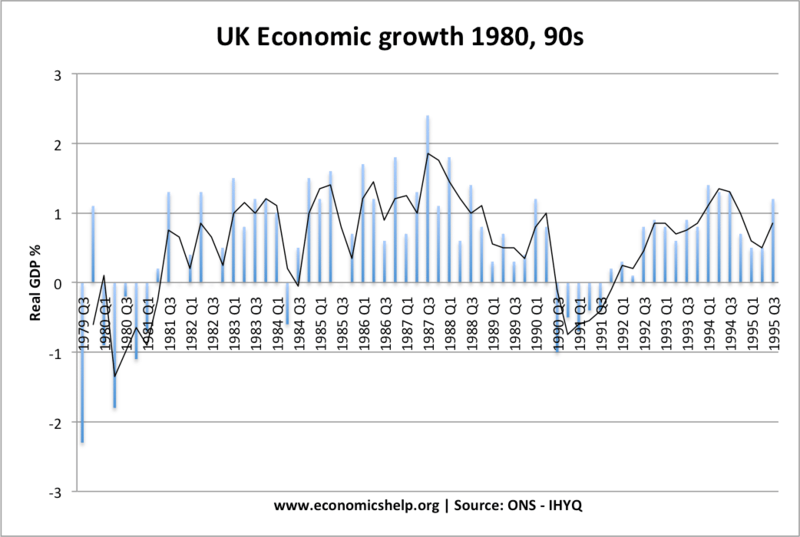 Towards the end of the 1980s, the growth rate reached record post-war levels (over 2% quarterly growth – equivalent to 8% 12-month growth). Due to many supply-side reforms such as privatisation, deregulation and reduced power of trade unions, the government believed there had been a ‘supply side miracle’. 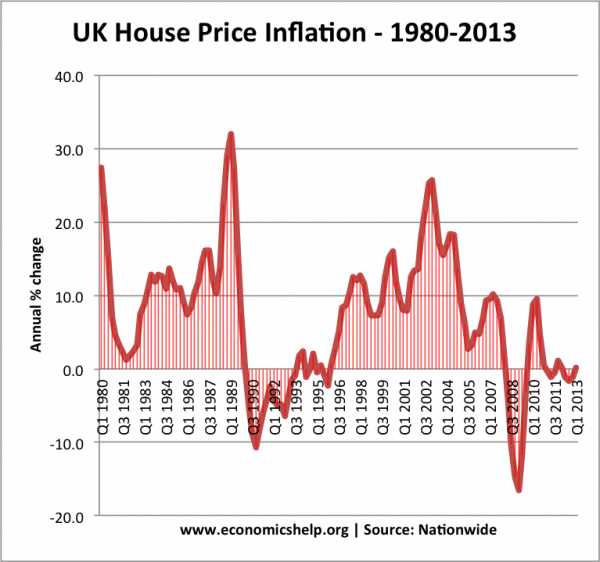 The hope was that the UK could now grow at a faster rate – without inflationary pressures. Another issue in the late 1980s is that the chancellor Nigel Lawson followed an unofficial policy of ‘shadowing the D-Mark’ Keeping an eye on the value of the Pound encouraged him to keep interest rates lower than appropriate for the rate of economic growth. As growth reached an annualised rate of 4%, there were increasing signs of over-heating; Inflationary pressures grew as firms could not keep pace with demand; inflation started to creep up. 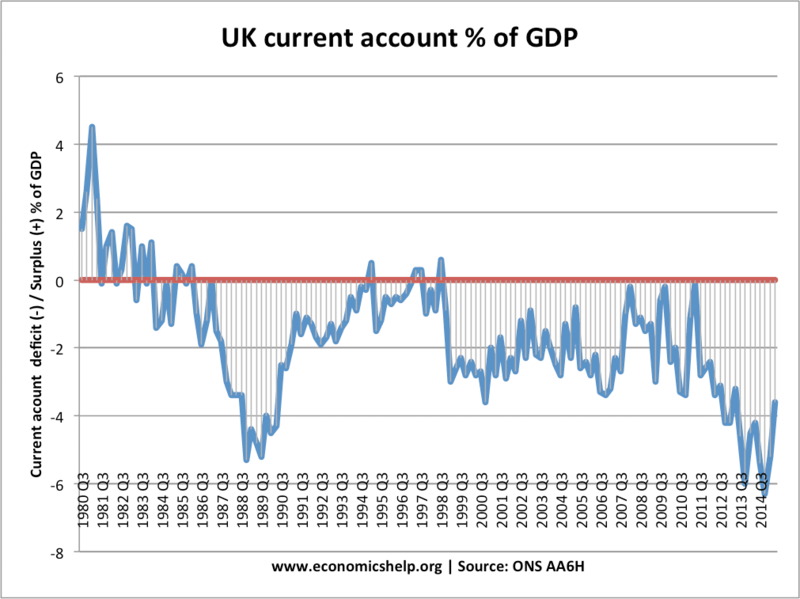 There was also a rise in the current account (as consumers bought more imports). Economy over-extended by the boom years, e.g. consumer debt levels had grown and they were heavily affected by higher interest rates. The sharp reversal in consumer and business confidence after the exuberance of the boom years evaporated. 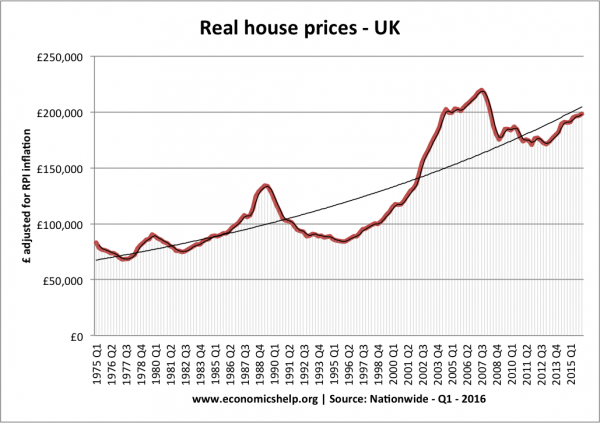 real-house-prices- rose sharply during mid-1980s. But, from 1988 there was a significant crash in prices. Growth in the number of households exceeding the growth in supply. Growth in the mortgage industry with banking deregulation enabling more mortgages to be made available. However, house price growth was very volatile, and after the boom of the late 1980s, house prices crashed in 1990-92 – due to higher interest rates and the recession of 1991-92. 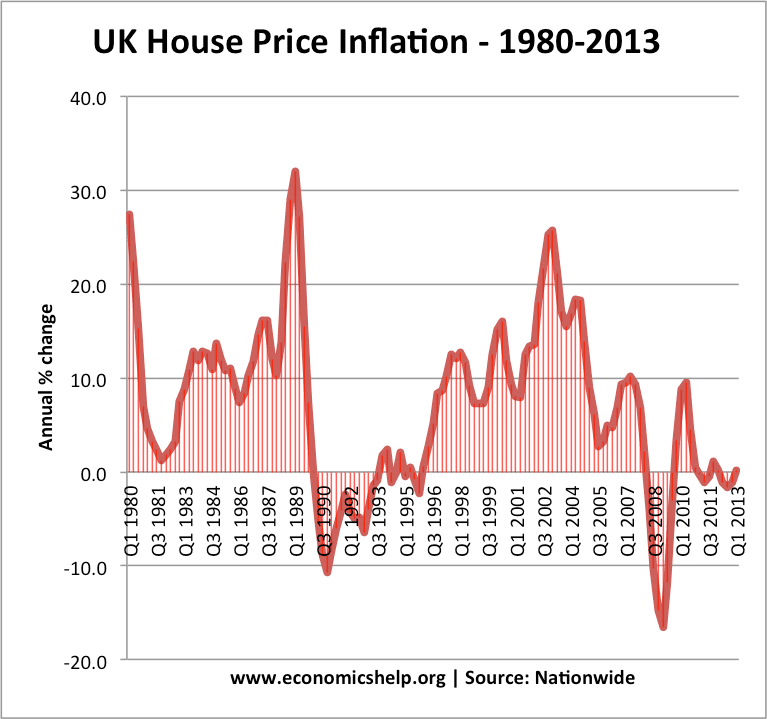 At their peak in the late 1980s, house prices were rising by 30% a year, but in 1990-92, prices collapsed. 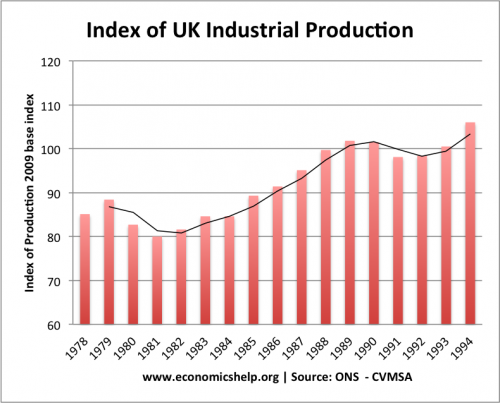 UK industrial output was hit hard by the recession of 1981. This was due to deflationary fiscal and monetary policy and also a strong Pound which made exports less competitive. Industrial production rose in the later part of the 1980s. The 1991 recession hit consumer spending as much as industrial output. UK current account since 1980. Strong growth in consumer spending and growth in imports. 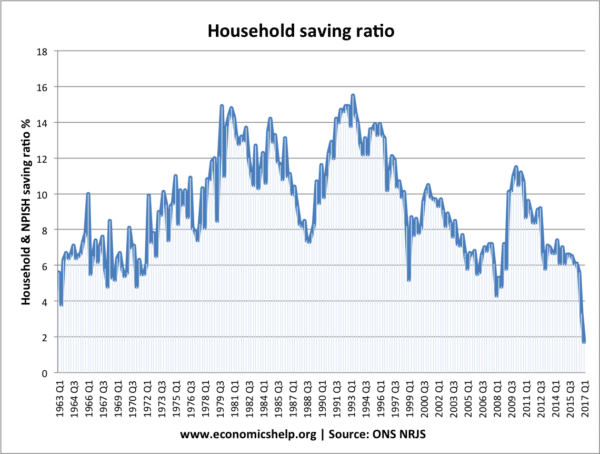 Decline in savings ratio and an unbalanced economy geared towards consumer spending. UK attracting more capital flows due to London’s prominence as the financial sector. 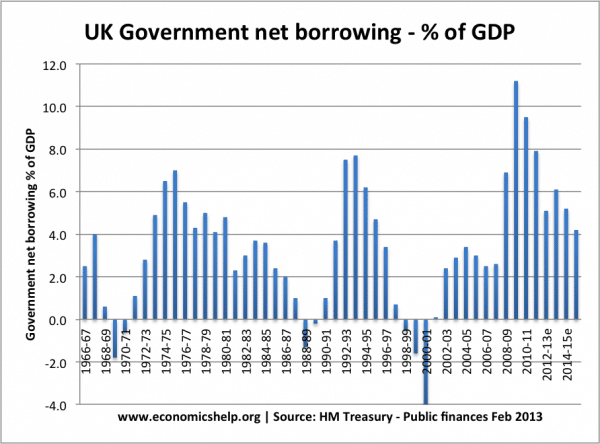 These capital flows help to finance a growing deficit. 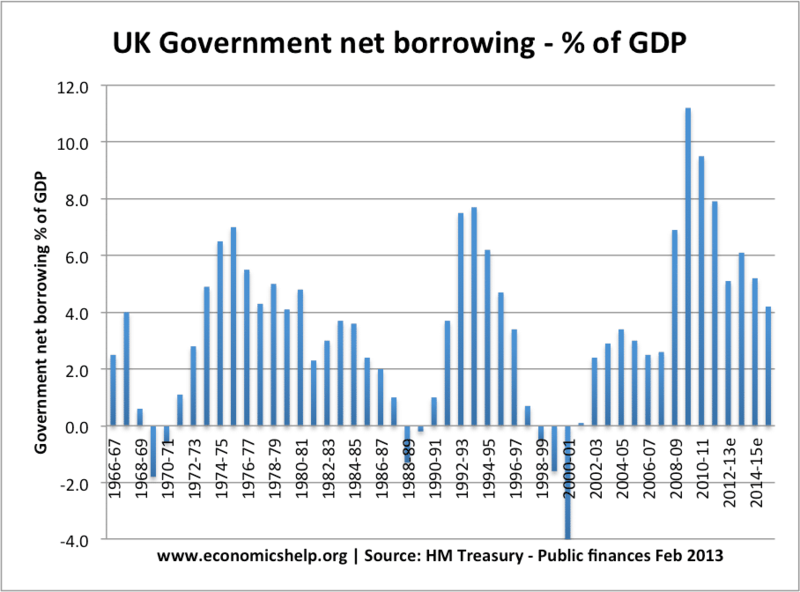 Government borrowing fell during the 1980s, helped by strong economic growth, revenues from North Sea Oil. Household saving ratio fell sharply during boom years. But, rose rapidly after interest rate hike in the late 1980s. 1970s – The Era of Discontent. Strikes, 3 day weeks, inflation, boom and bust. The 70s had everything except stability. The Late 1980s – The Lawson Boom. Rapid growth, inflation and recession. 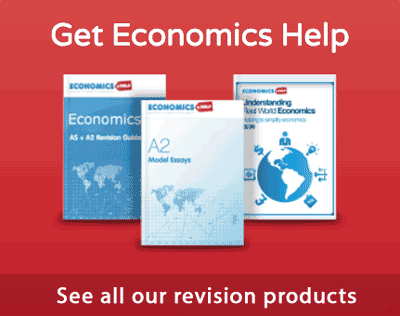 ← What are the economic functions of a government?